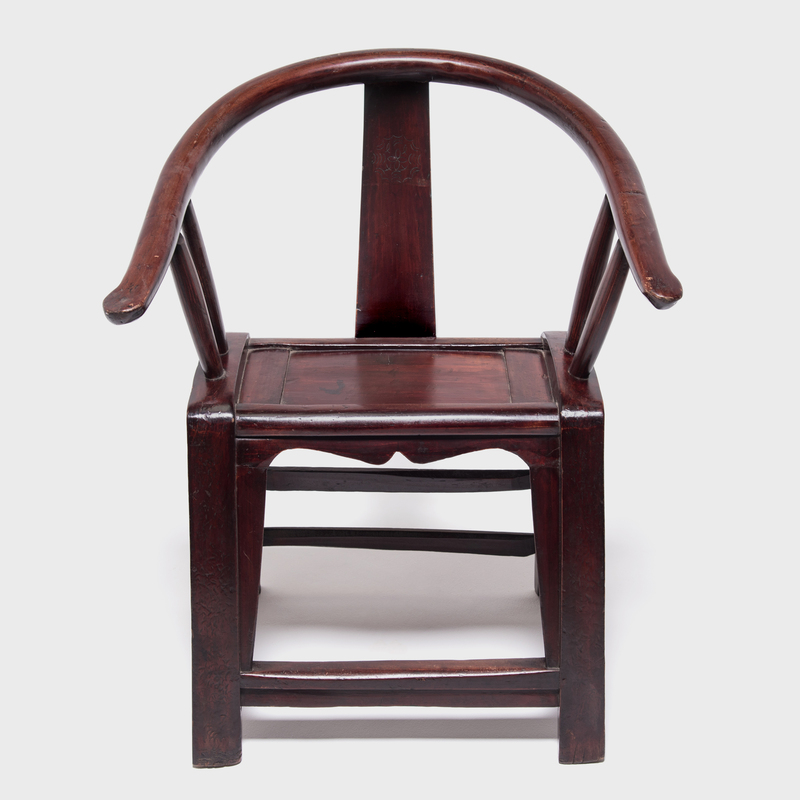 W: 28.75" D: 25.0" H: 36.0"
Prior to the 10th century Chinese society eschewed raised seats in favor of mats. 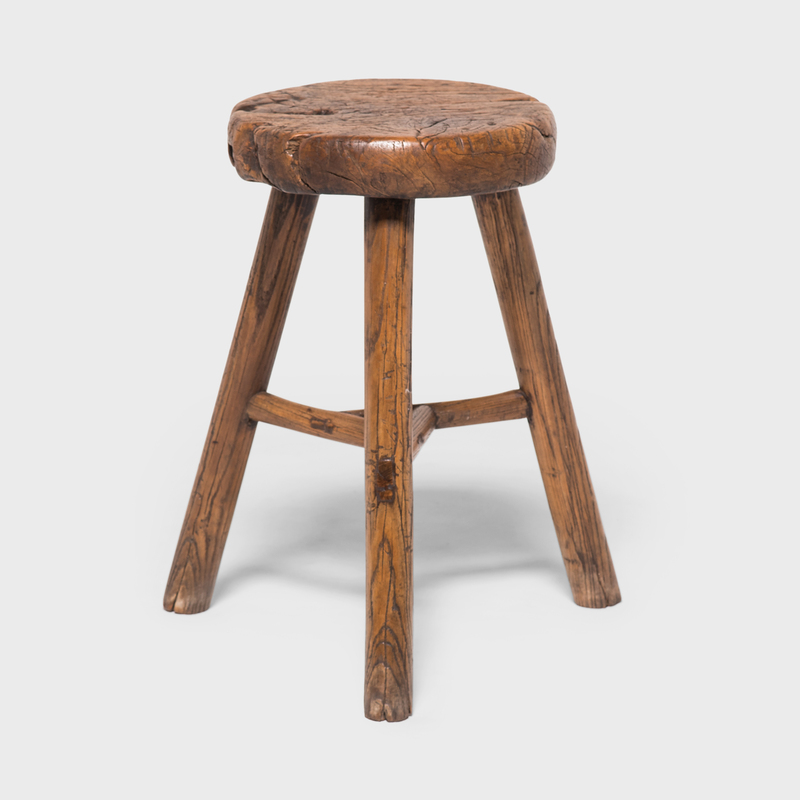 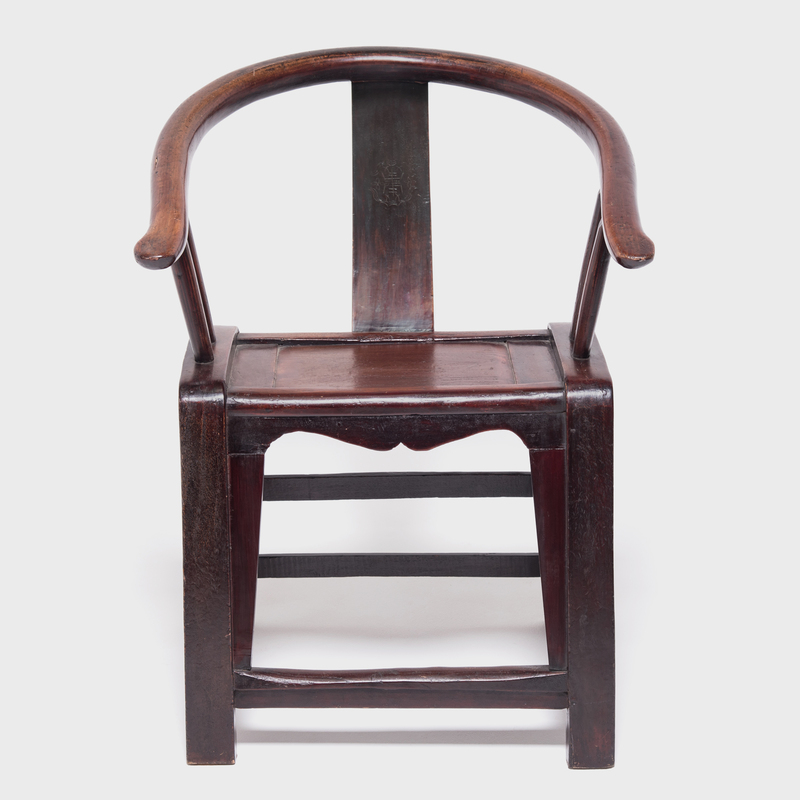 The addition of chairs and other elevated forms of seating allowed craftsmen to adapt traditional cabinetry and architecture techniques to the human body. 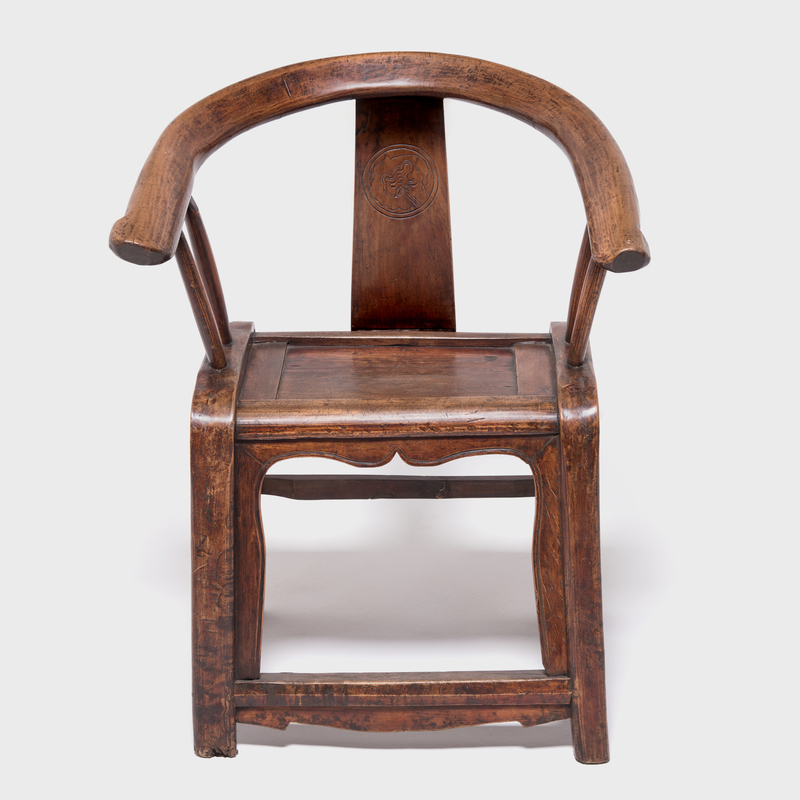 In the case of this Yuanyi, or round chair, the flowing crestrail is a direct descendant of the simple armrests that had traditionally supported individuals on mats in their homes. 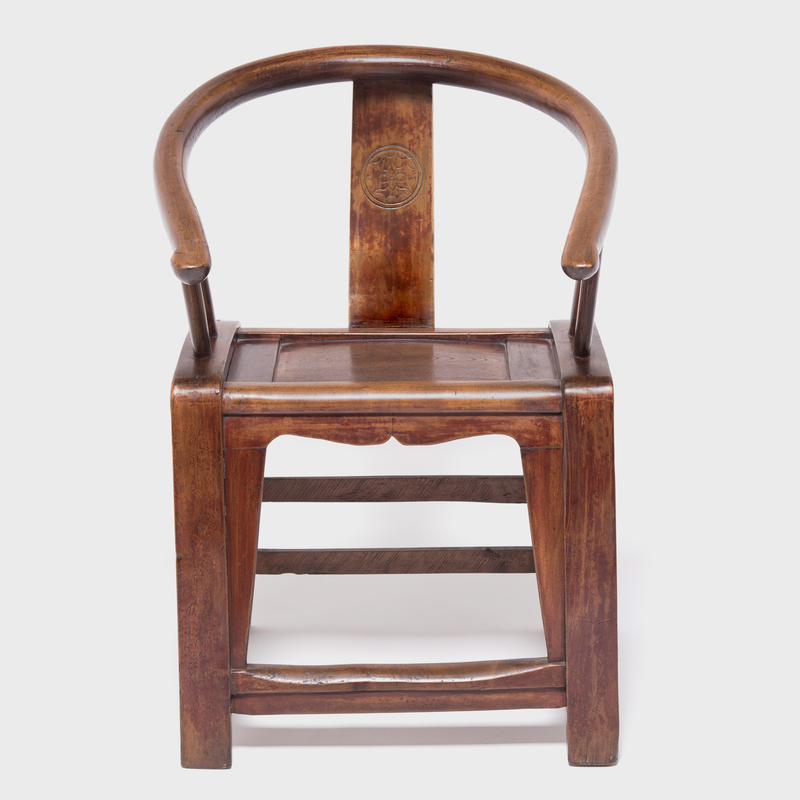 This homage to ancestral forms combines with progressive mortise-and-tenon joinery techniques to create an elegant functionalism that has defined this chair's presence over the centuries, and in today's modern home.